Villa Monterrey KM 1.5 | NuHome Realty Co.
Residing atop Puerto Vallarta’s vibrant Romantic Zone, in the residential Amapas neighborhood, you are instantly taken away by the sensational views and unique modern architecture of Villa Monterrey. 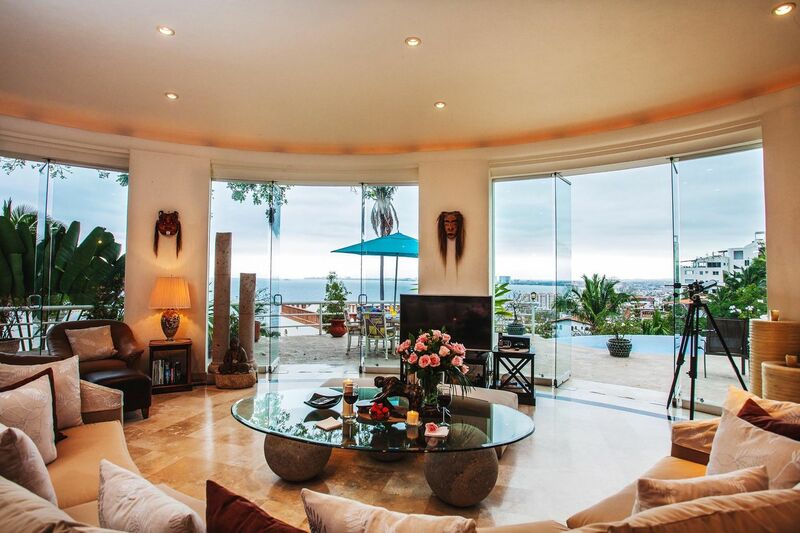 Located in a prestigious gated community, just minutes south of Old Town, this two level luxury villa is comfortably surrounded by extensive tropical gardens and vibrant Sierra Madre Mountains, overlooking iconic downtown Puerto Vallarta, Pacific Ocean and Banderas Bay. Fine architectural details are seen throughout the 7,000 sq. foot custom built home, with floor to ceiling curved glass doors leading out to the spectacular views. 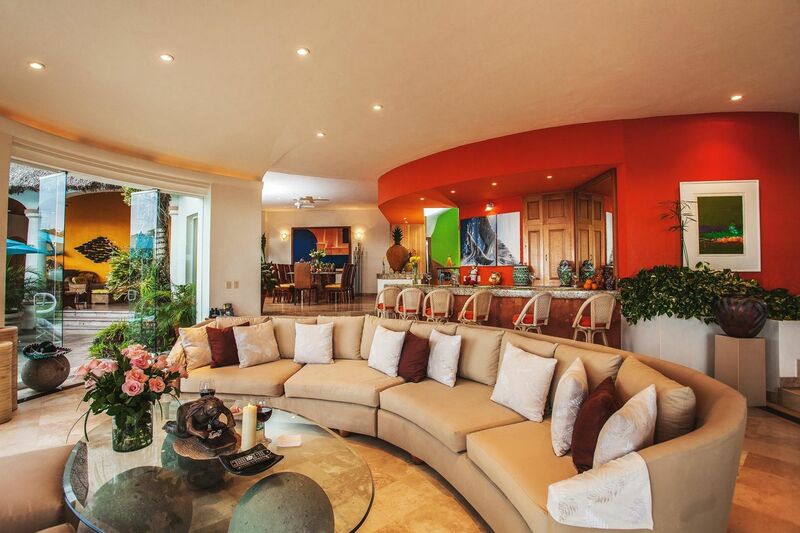 Whether looking for a designer home or boutique investment property, Villa Monterrey is an excellent estate style entertainment home for all to experience & enjoy.